Friendly programming note, The Independent Film Channel will stream, live and in its entirety, the 13th annual Interactive Achievement Awards on Thursday, over its website beginning at 10 p.m. U.S. Eastern/7 p.m. Pacific. The show will be broadcast on IFC a week from Friday - Feb. 26 - in a condensed half-hour highlight special, also at 10 p.m. that day. While still not a full broadcast, it's better than last year, when the show was televised two months after the ceremony. Jay Mohr is again your host for the games equivalent of the Oscars. This year's top nominees are Uncharted 2: Among Thieves, Assassin's Creed II, and Batman: Arkham Asylum. 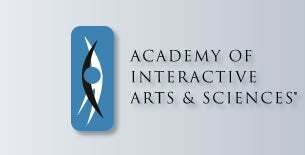 Additionally, Activision co-founder David Crane will receive the Academy of Interactive Arts and Sciences' first ever Pioneer Award. Entertainment Software Association founder Doug Lowenstein will receive the AIAS' Lifetime Achievement Award, and Marble Madness creator Mark Cerny will be presented with the Academy's Hall of Fame Award. A full list of nominations can be seen here.